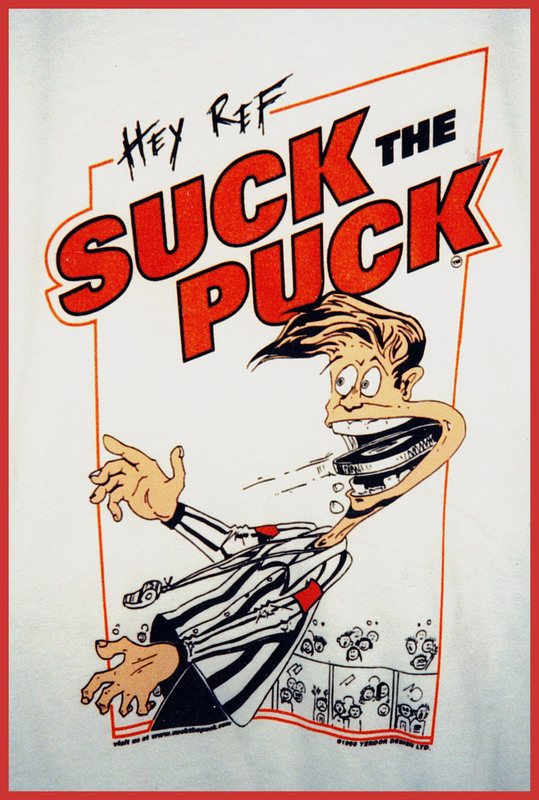 "Several years ago me and my friend Rodney came up with an idea to sell comedic sports-themed t-shirts. 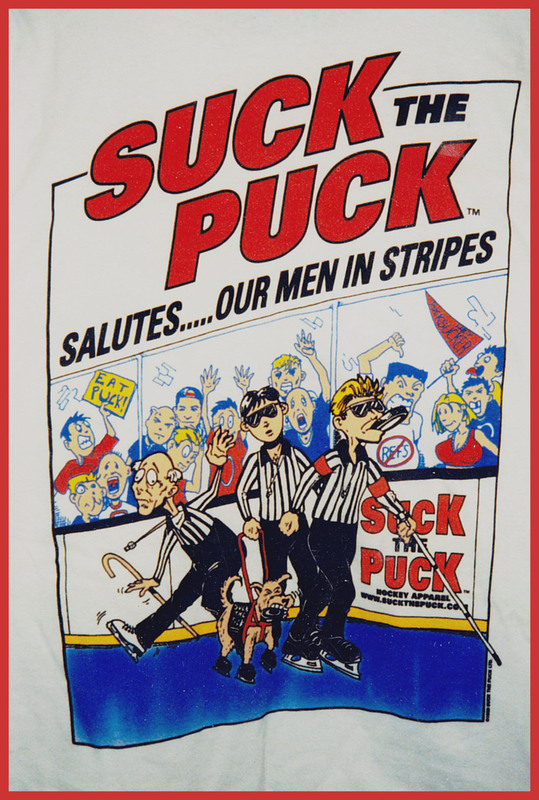 We came up with an idea for a hockey t-shirt with a ref taking a puck to the mouth. We visited the Baltimore home of the founders of the successful Big Johnson t-shirt line (the Pfeifer brothers at Maryland Screen Printers) and got some valuable advice and assistance. 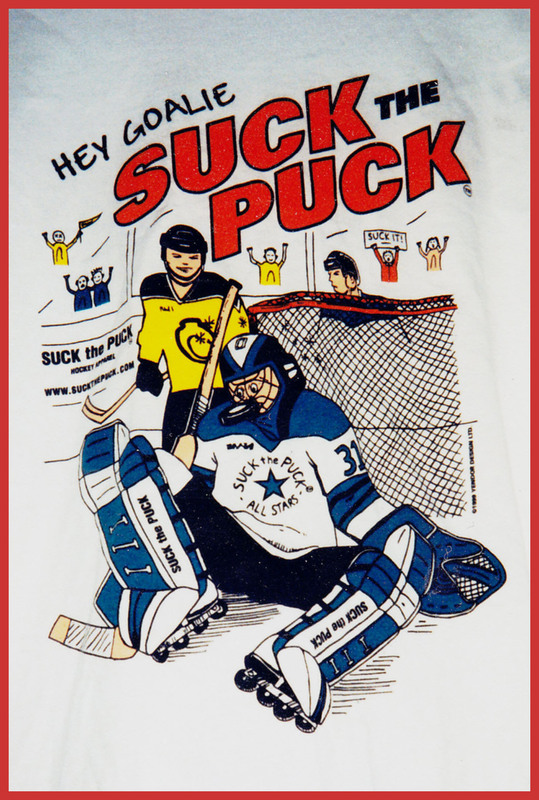 We ended up designing and printing three separate t-shirts and they were a big hit among hockey players. We loved the research and development stage - from the initial idea to a finished product - but we were not much in the way of salesmen. Our inventory is still ample and once again we will be selling these bad boys! They will be available for purchase right here in the near future."